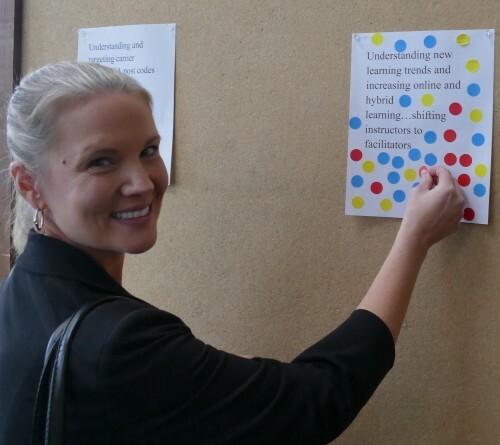 “Creating new classes and offerings” was the top vote getter as attendees in Savannah cast almost 1,000 votes on what new and updated topics they wanted covered in LERN’s new CPP Refresher Course. The course is part of a new continual professional development program to give 3,000 Certified Program Planners (CPP) an opportunity to update their knowledge with the latest best practices. Photo: Jesse McClusky-Gilbert of Champaign, Illinois, votes on what topics should be covered in the new CPP Refresher Course for renewing one’s CPP designation.